stalks the fields; barbed wire casts a shadow. 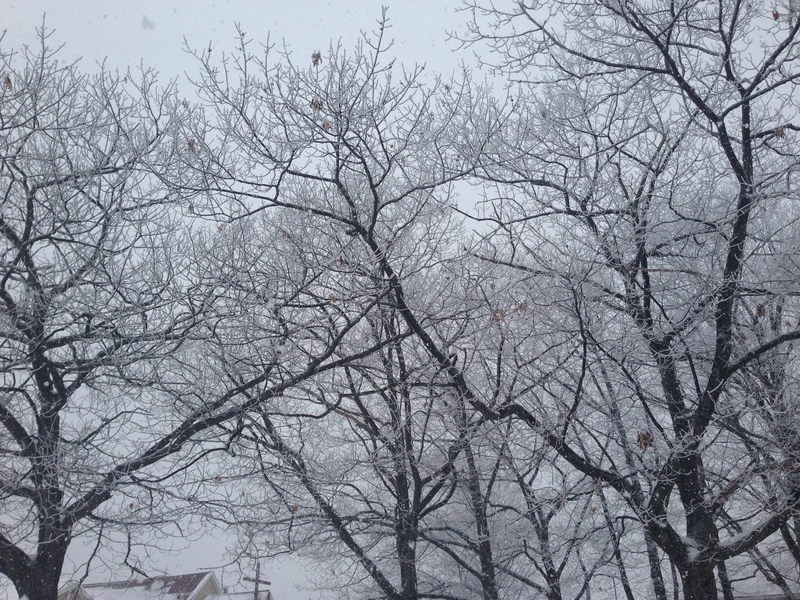 February is fading fast and the snow continues to pile up outside in a dangerous but beautiful flurry. I watch televised weather reports and know that the Upper Peninsula of Michigan is not the only location getting bombarded by snow. Today was a scheduled day off for the teachers in my district. We were supposed to have Parent Teacher Conferences on Tuesday, Wednesday, and Thursday. However, the weather had another plan, and school was cancelled on both Tuesday and Wednesday. We have had eight snow days this year and one two hour-delay. 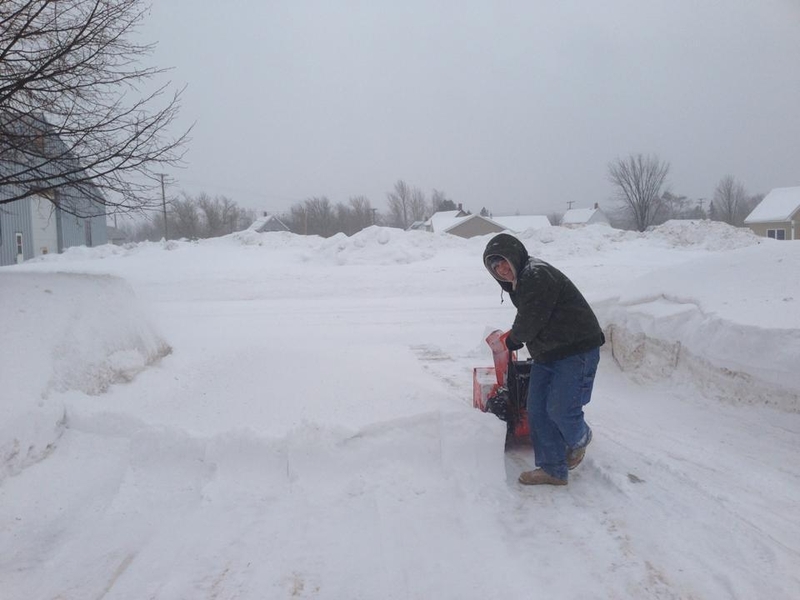 My husband Mike’s classes were also cancelled at Northern Michigan University and he pounced on the opportunity to catch up on homework and he took quite a few swipes at our driveway to remove the accumulating snow. Mike facing the snowdrifts with a smile on his face. Having a snow day show up unannounced can be a wonderful luxury, but like many of my educator friends, I find them to be bittersweet. Not only do they do a fine job messing up carefully orchestrated lesson plans, but I find that I must organize my spontaneous days off carefully. It is far too tempting to sit around and be lazy and this week I really TRIED to be productive. I did spend time grading, experimented with a couple new recipes, and built-in time to visit my treadmill. Today was no exception. When our dog Phoebe wanted to go for a walk I took deep, conscious breaths and marveled at the loveliness found in the snow-covered trees. I could not let the moment pass and I snapped a few photos as we walked. 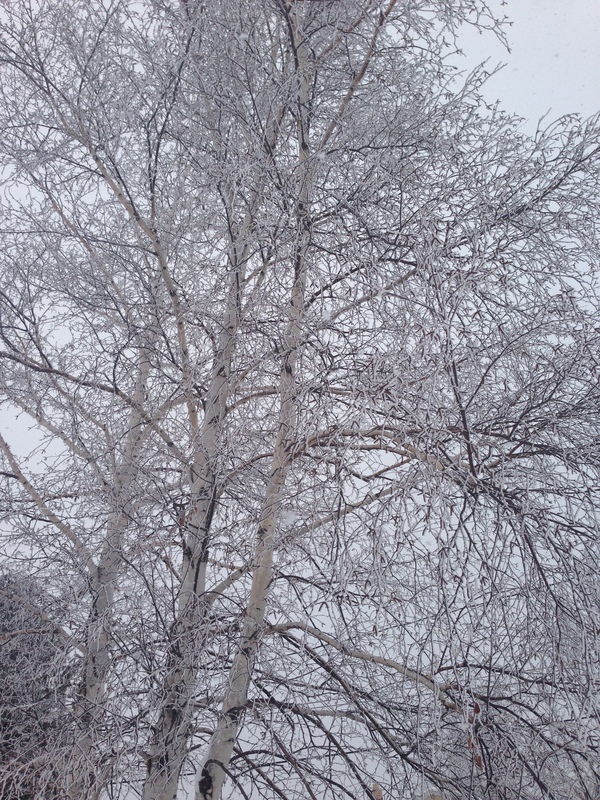 The birch tree in our yard is glistening with fresh snow crystals. 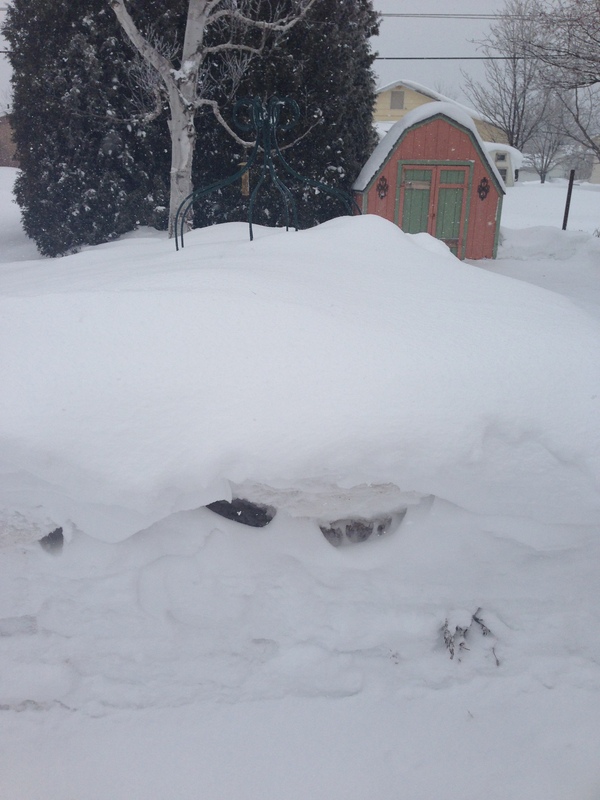 My garden is sleeping under that pile of snow. Our snowy street sparkling with snowflakes. Trees and landscape are transformed into art with the swoosh of the sky. I love how the cross from our neighborhood church appears in the lower left hand corner of this photo. 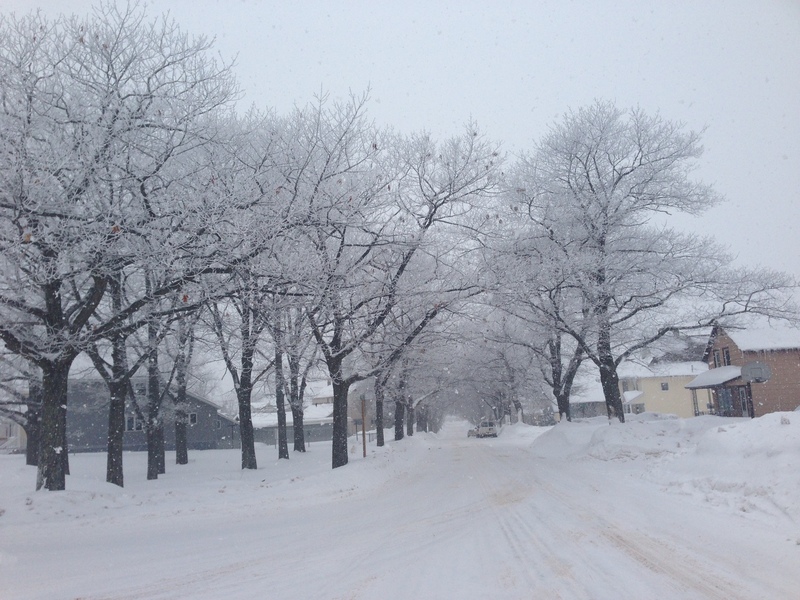 Whether or not you get snow days, when you live in the snow belt and the weather turns blustery, it is easy to fall victim to the seasonal blues. This winter I have pushed myself to stay busy and keep my exercise levels up. 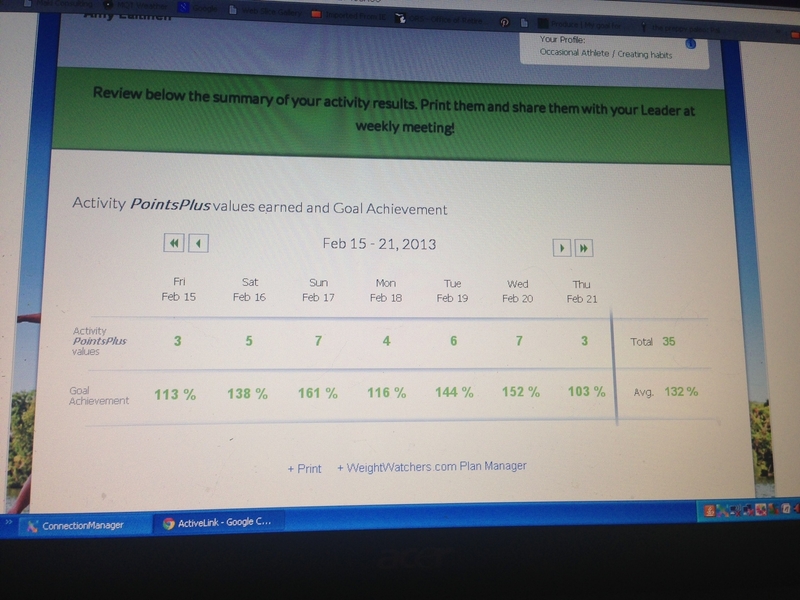 I am thankful for the Weight Watchers Active Link that works with my eTools subscription. I am on Week three of my first 12 Week Challenge and I have been learning a lot about my activity patterns from this technology tool. I wish I would have had one years ago because I believe that it will help greatly in my weight management. The Active Link has taught me that I need to keep moving throughout the day and that I need to take advantage of my weekends to bulk up my activity. During my workday I now find myself taking more trips to the office, walking laps around the halls between classes, and I even have started doing a 20 minute Leslie Sansone walking video in my classroom during lunch (a hearty thank you to Sister Gloria for the Leslie Sansone walking video recommendation. I have found these videos to be a fun way to burn calories). 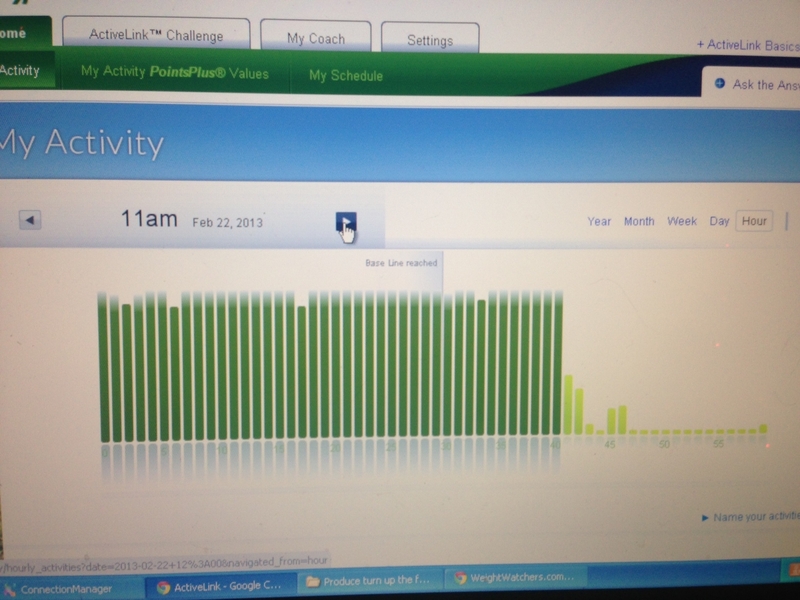 Since I tend to be a visual person I am loving the Active Link’s graphs that breakdown my activity by the minute. Some days I even get up early to log 20-30 minutes on the treadmill. Right now my goal is for 3 APP a day, but tomorrow is my weigh-in day and I will be finishing my week with 38 APP. A visual of my 12 Week Challenge Progress. My stubborn streak has kicked in and I refuse to be under 100% of my Goal Achievement. I love that I can click on each hour and see a breakdown of my activity and the intensity level. 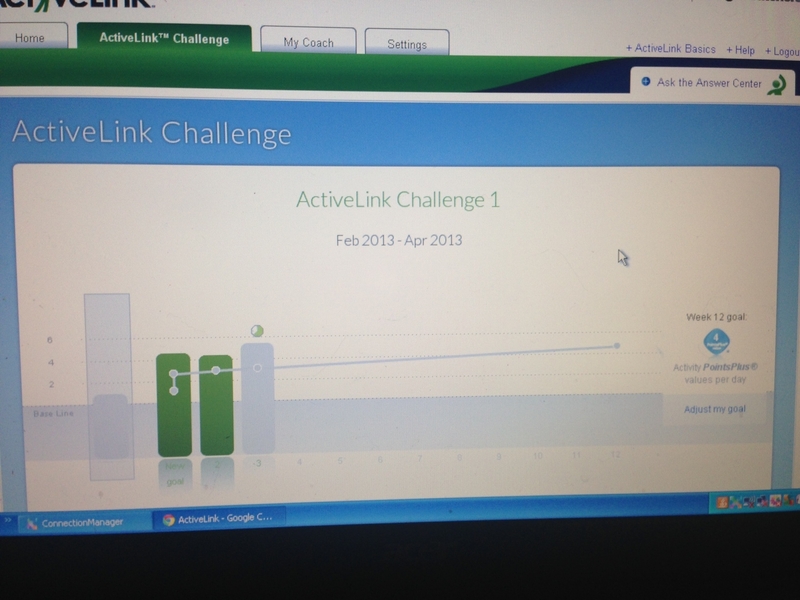 I am always excited to plug the Active Link into my computer to see my goal achievement progress. My day off today was productive and I earned 6 APP! In addition to my Active Link, I think that the Recipe Round-Up Challenge my Weight Watchers meeting members are participating in is helping me stay grounded and focused on my healthy goals. 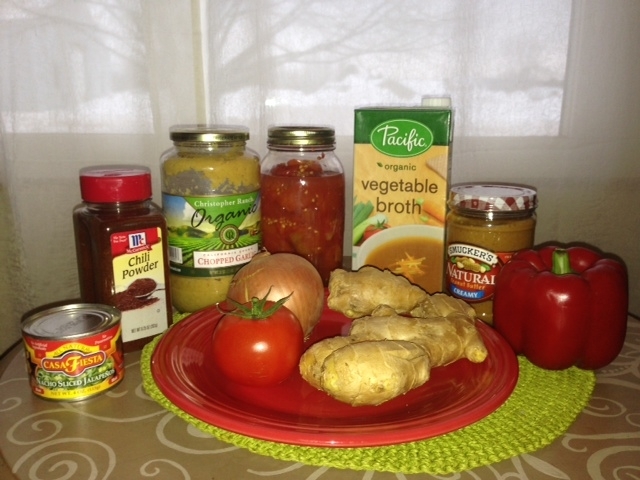 For the month of February each of us participating are trying at least one new recipe a week. Previously, I shared a recipe from Vegetarian Times for a Winter Bok Choy Slaw. 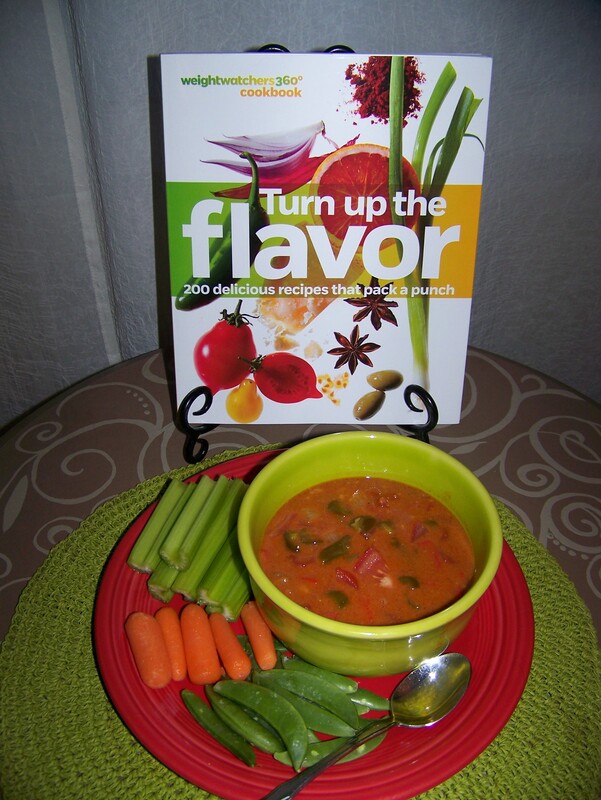 My second recipe for February was from the Weight Watchers 360 cookbook, Turn up the flavor. A common go-to dinner for Mike and I is often soup and salad. With our busy school schedules, we decided for the past couple weeks that soup and salad is a great way to eat healthy and that will continue to be our plan for our week nights. I make sure our house is stocked with a variety of salad fixings that I rotate, including: greens (romaine, spring mix, kale, and spinach), fresh berries, raw nuts, chia seeds, dried fruit, homemade croutons, pomegranate, carrots, radishes, cucumbers, citrus fruit, avocado, mango, pineapple, a variety of olives, capers, red onion, fresh herbs, snow pea pods, banana peppers, alfalfa and radish sprouts, tomatoes, pickled beets, purple cabbage, and bell peppers. I stick with plant-based proteins (beans, tempeh, seeds, nuts, hummus) but Mike does often opt for meat and cheese on his salads. I love to experiment with different combinations of greens, fruit and vegetables, try different homemade and store-bought salad dressings, and different varieties of soup. 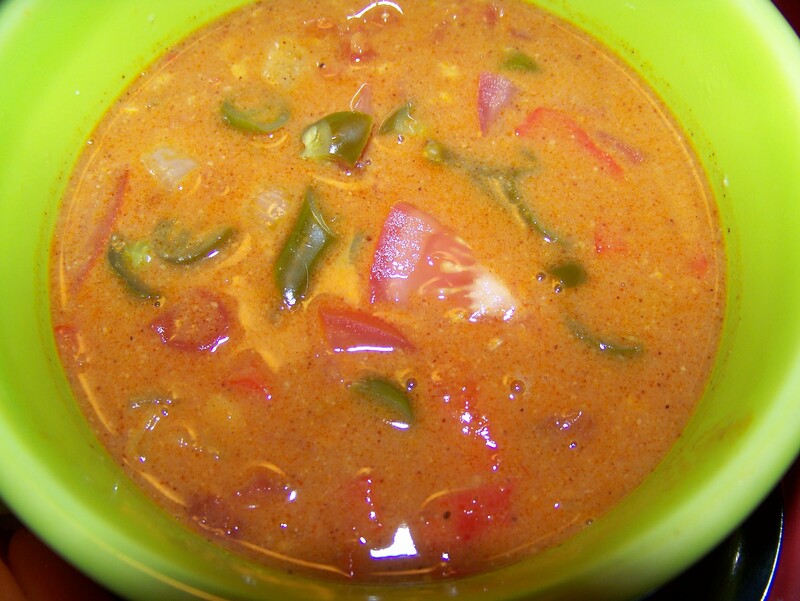 As soon as I browsed through the Weight Watchers,Turn up the flavor cook book, I knew that I had to try the recipe for creamy peanut butter soup with ginger and chili. When I saw that the recipe contained both peanut butter and chili powder it brought me back to my childhood when my family always ate peanut butter sandwiches with chili. To this day, a bowl of chili makes me crave peanut butter. I always thought this was an unusual flavor combination until I started to notice the combination paired in various ethnic cuisines. 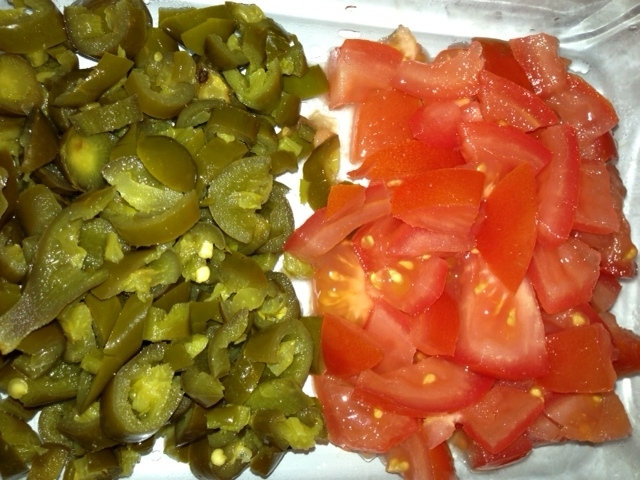 1/2 thinly sliced jalapeno (I used canned. 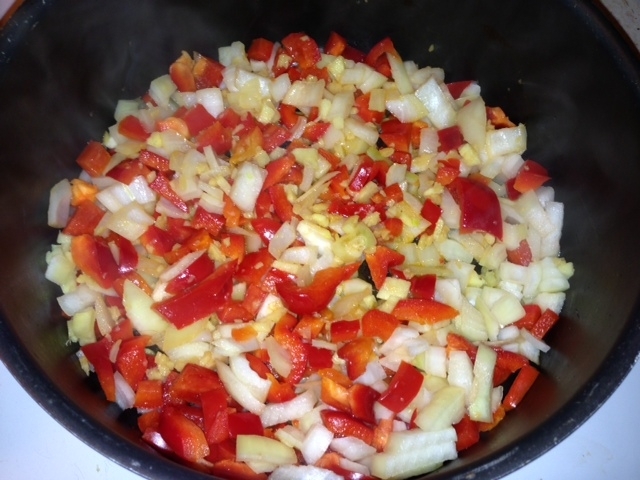 When I stopped at the supermarket they did not have fresh)Directions: Saute bell pepper, onion, ginger, and garlic until soft. 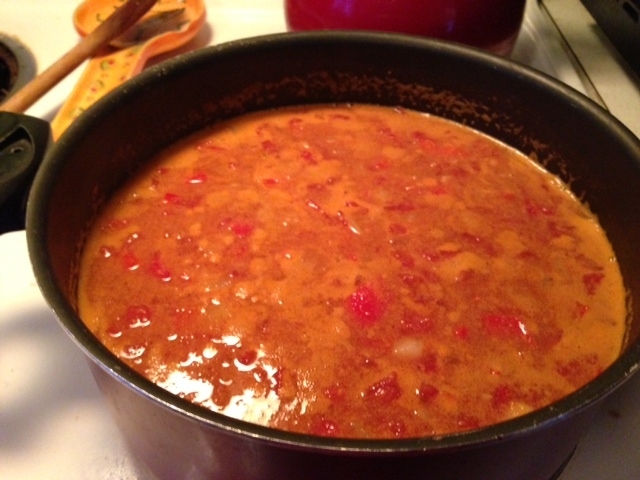 Add broth, canned tomatoes, peanut butter, and salt; bring to a boil. Reduce heat and simmer about 20 minutes.Serves four. (though I ended up getting more servings because I added more tomato than the recipe called for and I added a couple of cups of water). 8 g Fat, 17 g Carb, 3 g Fiber, 10 g Protein The directions called for pureeing the soup but I left it as it was because I really liked the texture. Once ladled into bowls, garnish with fresh tomato and jalapeno. I served with crisp vegetables on the side. This is a recipe that I will make again. I found the soup rich and delicious and enjoyed the background notes of ginger. I added extra chili powder and jalapeño garnish for some kick. I love how the spiciness offsets the mellow peanut butter taste. I have quite a few Weight Watchers cookbooks in my collection and have found that they are very helpful in my weight management journey. WW cookbooks offer tasty and healthy recipes and are well worth the purchase. The key to healthy cooking, I have discovered, is taking advantage of fresh herbs and spices, instead of heavy oils or butter, to amp up the flavor. 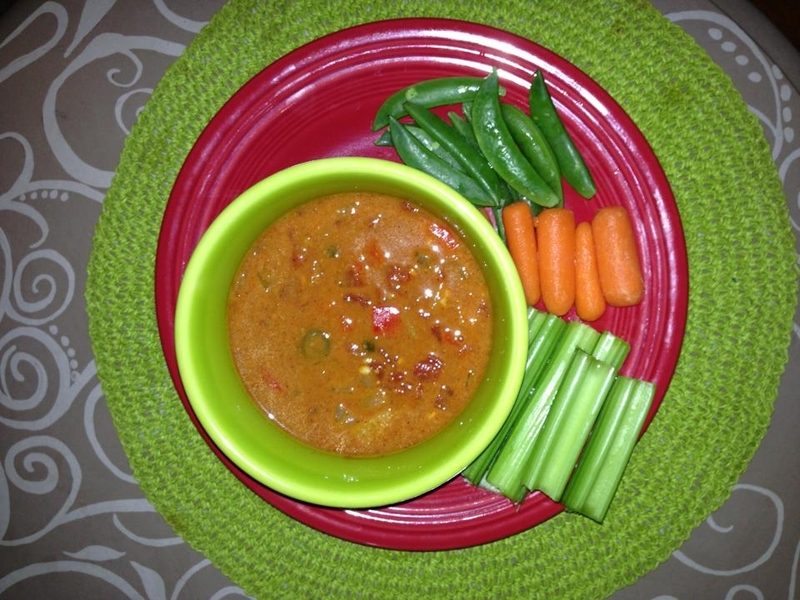 Many of my Weight Watchers members have said that they have enjoyed our February Recipe Round-Up Challenge because it has forced them out of their comfort zone. Sometimes cooking can be daunting to those who have not been comfortable with cooking. I always encourage my members to experiment with different recipes and flavor combinations because it can make all the difference in reaching our goals. Cooking our own food allows us to be in control of what ingredients we put into our bodies and help us stay satisfied. I always strive to eat whole foods that are not heavily processed and find that this really helps me stay on track and within both my Points Plus and my financial budget. This week I am challenging myself to try three new recipes (for a total of SIX new recipes for February) and I am hoping to continue to challenge myself to try one new recipe a week in the coming months. I promise to feature some of the recipes that I try in future blog posts. In the next few days I plan to post recipe reviews for a Sweet Potato and White Bean Veggie Burger and a Vegan Avocado and White Bean Salad. So, stay tuned. I would also love to hear about your favorite recipes. So, please share! As for the Weight Watchers 360 Turn up the flavor cookbook, my next selection will be the Sweet Potato Soup with Coconut, Cilantro, and Lime. How amazing does that sound?! If you are reading this and have found yourself in a food rut, I encourage you to branch out and flex your culinary skills. I find chopping vegetables quite therapeutic and there is nothing quite as satisfying as a kitchen brimming with delicious home cooked meals. 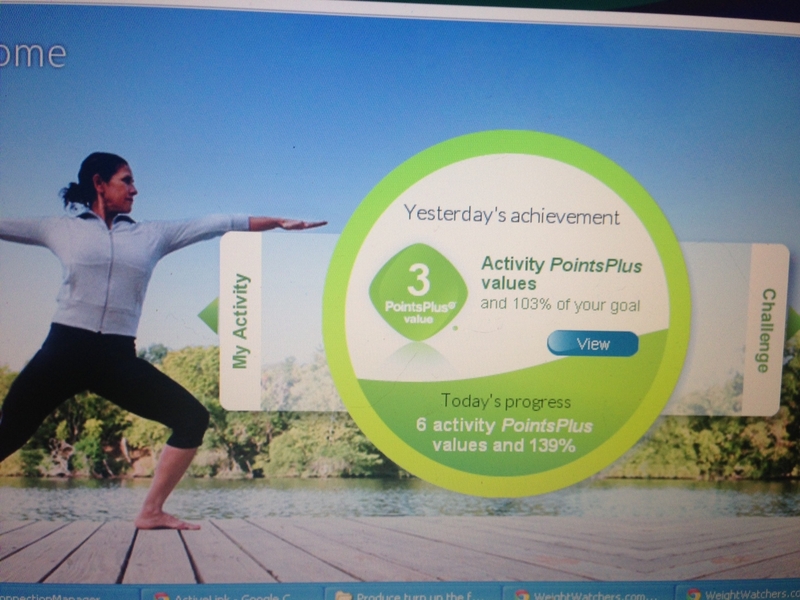 Plus, an added benefit is being able to watch the numbers on the scale move down. While February is almost a stranger, I know that winter will linger for a few more months in the U.P. I plan to be productive, fill my plate with an abundance of fruit and vegetables, and give my Active Link a real workout. How are you going to Turn Up the Flavor in your life? I highly recommend this soup and this cookbook. 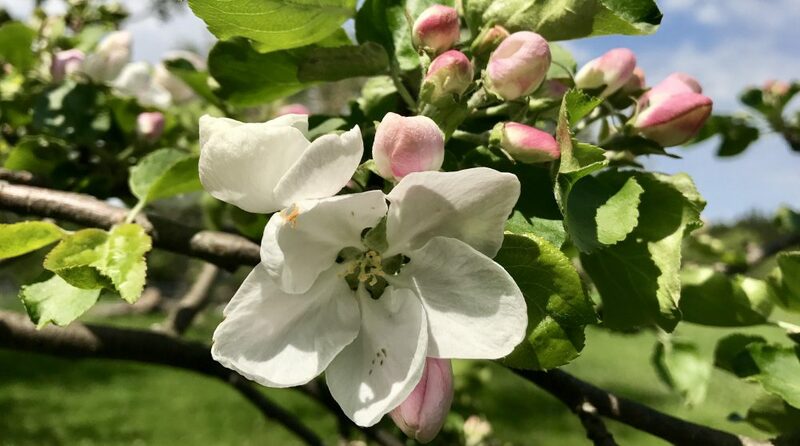 This entry was posted in Uncategorized and tagged Active Link, Healthy Comfort Food, Peanut Butter Soup, turn up the flavor cookbook, Weight Watchers by Amy. Bookmark the permalink. Oh my goodness Amy! I always thought my husband had a weird sense of taste because he always eats peanut butter toast with his chili. I couldn’t believe when I read that you crave peanut butter when you eat chili. I never knew! I will have to try out this recipe for him for sure. I will have to puree it though as he doesn’t like red peppers. Thanks for sharing (and keeping me motivated to write my own blog posts.) My next one may just have to be about my “chef/baker” hat. I look forward to your new blog post and thank you right back for your constant support and inspiration. If I can convince my husband to try, I want to make this. I am hoping it will help me kick my nasty sinus infection out with good veggies. Ahhhhh, Heather, I was fighting a cold off last week too. I love the Vitamin C Boost Naked brand juice. I don’t normally drink juice unless I feel a cold coming on so I fortified my green smoothies with it. I just saw your comment on fb and I’m glad that you enjoyed the soup. Take care and I am sending you healing vibes.